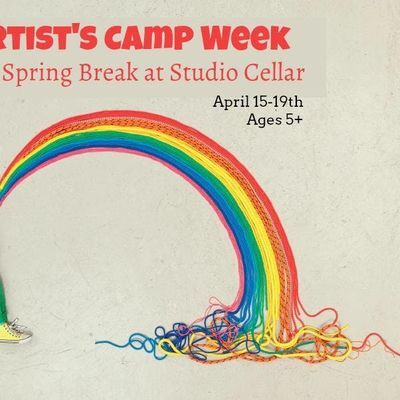 Kids Spring Break Artist Week! 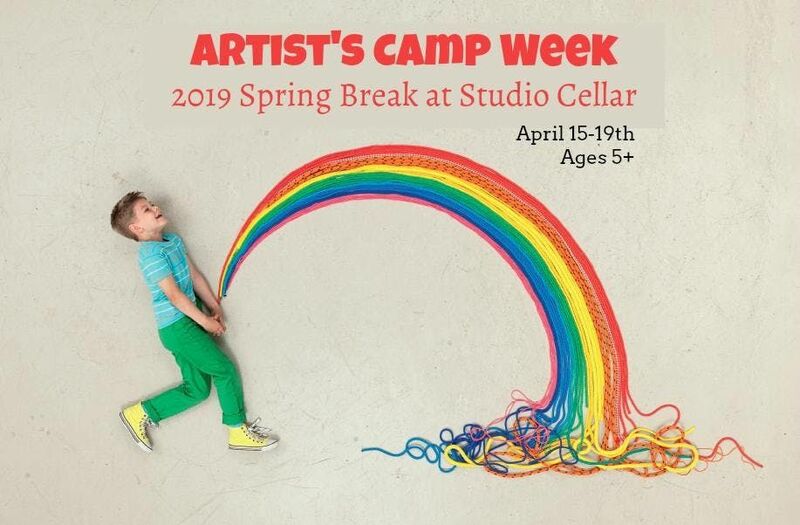 Ignite your child's imagination, nurture their self-expression and develop culture with us at Studio Cellar’s Artist’s Camp week. Weather your child is into art or not, Artist's Camp Week will be a blast of creativity, development and experiences. Classes will be organized with hands-on lessons and rotating stations where they will be producing Fine Art, learning about history’s notable artist and applying different artistic styles. We will teach your child tools to use for becoming an independent artist as well as discuss the different options for an artist to make a living from their talents. Your child’s strengths will be identified on a report to help you cultivate the success of your artist as well! Monday- T shirt screen printing, canvas painting with projector in Pop Art style, Mixed Media photograph art. Tuesday- Creative elements Nature Weaving, Name letter Jackson Pollack style on Canvas. Wednesday- Mixed Media paradise collage, Artist Bio & invitation making, 3D Art Project. Thursday- Creative picture background, mosaic learning & project. Friday- Sculpture exploration & building, Folk Art study with mask making using our projects in a fun play production- basic set design and acting. Additional Activities Include: Dream catcher making, Wind chimes, Robot building, Creative Jewelry making, String pulling art, Stamp making, Abstract conditioning, Geometric design, Found object sculpture, Elements of Design exploration, Wax melting art, Color mixing, and Mural painting.